Have you ever seen the giant icicle on the house? Here we go! 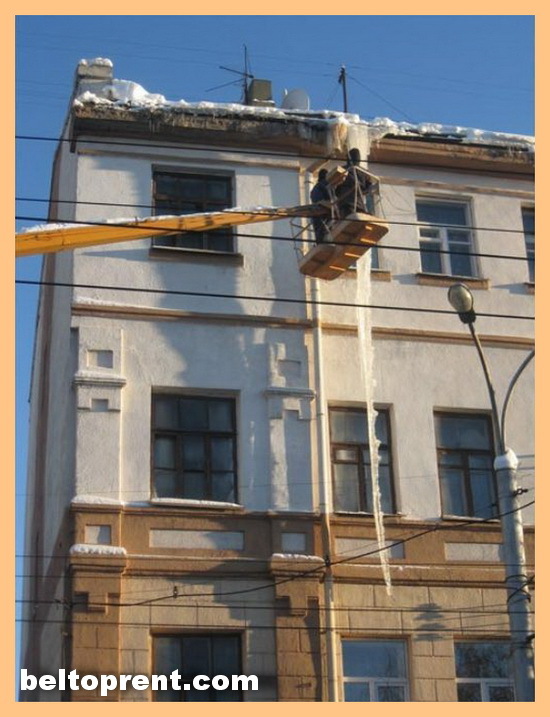 This awesome, big icicle was found on the top of the house in Mogilev. It looks very impressive, but it can kill you at anytime. Big icicles on the roofs of the houses are extremely dangerouse for people. Not long time ago in Minsk a man was killed by the icicle. You better watch out on the top of the house when you moving into your apartment rental in Minsk or any other city in the world. This icicle was found on the street Pervomaiskaya in Mogilev and have had a 7 meters length. The life for this piece of ice was not a long lasted. In just a few houres local housing service had came up and destroyed it. But how many icicles these days on the roofs of houses all around the world? Apart-Hotel BelTopRent wishing to all tourists in Belarus not to get hurt from the local icicles:) Take care, dear tourist! « Long-term apartments for rent in Minsk. Crazy pics!